Vertex Panache in Kokapet, Hyderabad by Vertex Builders is a residential project.  The size of the Apartment ranges in between 1270.0 sq.ft. and 1945.0 sq.ft. Vertex Panache price ranges from 66.02 Lacs to 1.03 Cr. Vertex Panache offers facilities such as Gymnasium and Lift. 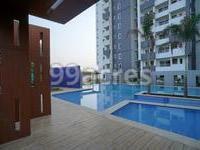 It also has amenities like Badminton court, Basketball court, Jogging track and Swimming pool. The project has indoor activities such as Skating rink and Squash court. It also offers services like Grocery shop and Library. Bank loan approved from HDFC home loans, ICICI, State Bank of India, Standard Chartered Bank Limited, Citi Bank and Andhra Bank. It is a ready to move project with possession offered in Jun, 2016. The project is spread over a total area of 5 acres of land. It has 72% of open space. Vertex Panache has a total of 6 towers. The construction is of 12 floors. An accommodation of 521 units has been provided. Vertex Panache brochure is also available for easy reference. Hyderabad has the best performing markets in India. Well-developed infrastructure, growing job opportunities and robust growth are the key factors that have affected the real estate market of the city positively. Hyderabad is known to offer spacious apartments when compared to other metro cities. The establishment of IT industry in the city has also contributed to the promising real estate market. This has generated demands especially in residential real estate in the affordable and mid-segment. 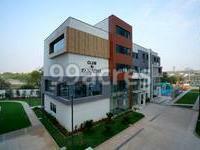 The realty market of Hyderabad caters to these demands maintaining the demand and supply ratio. In which area is Vertex Panache located?The project is situated in Kokapet, Hyderabad. What size of flats are available in Vertex Panache? The apartment sizes in the project vary from 1270.0 sqft to 1945.0 sqft. How much is area of 2bhk in Vertex Panache? 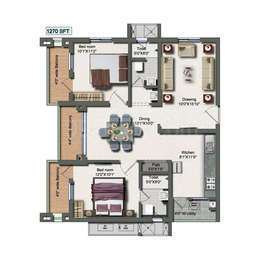 Two-room units (2BHK) in the project are available in an area of 1270.0 sqft. What is the 3 bedroom size in Vertex Panache? 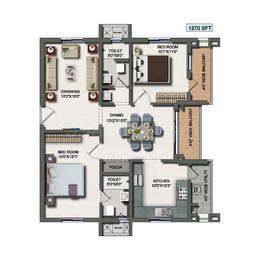 The area of 3BHK units in the project varies from 1480.0 sqft to 1945.0 sqft. What is the area of Vertex Panache?The total area that the project occupies is 5.0 Acres. 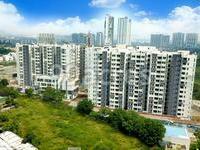 What is the price of 2 bhk in Vertex Panache? The project offers 2 BHK units within Rs. 6602730 to Rs. 6729730. Vertex Homes is a real estate development enterprise specialized in residential, commercial and premium plotting ventures for the past many years. This legacy began from Hyderabad, and has not extended to Vijaywada and Amravati. They cater to a diverse product portfolio including luxury apartments, villas and plotting projects. Vertex Homes aims in value creation, engineering core strength, resonating market opportunities, trustworthy relationships, empowering consumer growth and expertise across the real estate formats.